Ceramic Tile and Grout are Tough to Clean (and even tougher to seal). Cleaning tile can be difficult for most people. Cleaning tile on your hands and knees and or using a mop can be a terrible experience. Although this appears to work fine at first, eventually you start to notice the tile getting darker in the traffic areas. Mopping no longer gets the job done. Dirt and soil from the mop has been absorbed into the grout between the tile leaving it dull and dingy. Call Diamond ! 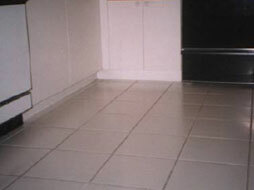 Our powerful cleaners will restore the natural beauty of your ceramic tile and grout quickly and economically. 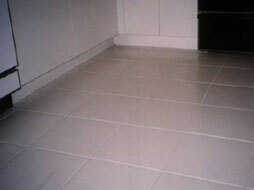 With Diamond's tile and grout service your kitchen and bathrooms will shine once again, and you save time and money.